Caroline is a lecturer specialising in district nursing who joined City University London in May 2013. Caroline initially qualified as an adult general nurse in 1991. She has been working in district nursing practice for over 15 years and completed her Primary Healthcare Nursing PGDip (District Nurse) with Specialist Practitioner Qualification in 2003. Her key interest at doctoral level was in applying conceptual models developed to predict risk and analyse adverse events in secondary care environments to the domiciliary care setting. 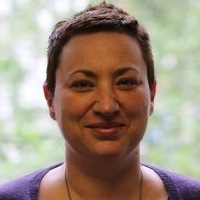 Her key research interests include medication management with older people living at home, the interface between health and social care in the community, and risk management in domiciliary care settings. McGraw, C.A. (2019). Nurses’ perceptions of the root causes of community-acquired pressure ulcers: Application of the Model for Examining Safety and Quality Concerns in Home Healthcare. Journal of Clinical Nursing, 28(3-4), pp. 575–588. doi:10.1111/jocn.14652 . McGraw, C., Abbott, S. and Brook, J. (2018). Innovation in values based public health nursing student selection: A qualitative evaluation of candidate and selection panel member perspectives. Public Health Nursing, 35(4), pp. 344–352. doi:10.1111/phn.12392 . Costa, A. and McGraw, C. (2018). Exploring perceptions and experiences of oral chemotherapy in people with cancer. Cancer Nursing Practice. doi:10.7748/cnp.2018.e1464 . Brook, J. and McGraw, C. (2018). Multidisciplinary perspectives: Application of the Consolidated Framework for Implementation Research to evaluate a health coaching initiative. Health and Social Care in the Community, 26(3). doi:10.1111/hsc.12536 . Tranter, R. and McGraw, C. (2017). Integrating social media into routine midwifery services: Maternity Direct+. British Journal of Midwifery, 25(7), pp. 458–464. Cliff, C. and McGraw, C. (2016). The conduct and process of mental capacity assessments in home health care settings. British Journal of Community Nursing, 21(11), pp. 570–577. doi:10.12968/bjcn.2016.21.11.570 . McGraw, C. and Jeffers, S. (2015). The importance of considering the treatment and care of family pets in domestic violence risk assessments. Journal of Health Visiting, 3(9), pp. 483–488. doi:10.12968/johv.2015.3.9.483 . Mcgraw, C. and Drennan, V.M. (2014). Evaluation of the suitability of root cause analysis frameworks for the investigation of community-acquired pressure ulcers: A systematic review and documentary analysis. Journal of Clinical Nursing. doi:10.1111/jocn.12644 . McGraw, C., Coleman, B., Ashman, L. and Hayes, S. (2012). The role of the pharmacy technician in the skill-mixed district nursing team. British Journal of Community Nursing, 17(9), pp. 440–4. McGraw, C. and Topping, C. (2011). The district nursing clinical error reduction programme. British Journal of Community Nursing, 16(1), pp. 35–40. doi:10.12968/bjcn.2011.16.1.35 . McGraw, C. and Drennan, V. (2009). Assisting older people with bathing: comparing service provision in England and Japan. Journal of Community Nursing, 23(9), pp. 12–16. McGraw, C., Drennan, V. and Humphries, C. (2008). Understanding risk and safety in home health care: the limits of generic frameworks. Quality in Primary Care, 16, pp. 239–248. McGraw, C. and Drennan, V. (2006). Assessing the needs of older burglary victims: a link nurse scheme. British Journal of Community Nursing, 11(10), pp. 414–419. doi:10.12968/bjcn.2006.11.10.21962 . McGraw, C. (2004). Multi-compartment medication devices and patient compliance. British Journal of Community Nursing, 9(7), pp. 285–290. doi:10.12968/bjcn.2004.9.7.13295 . McGraw, C. and Drennan, V. (2004). Older people and medication management: from compliance to concordance. Reviews in Clinical Gerontology, 14(2), pp. 145–153. doi:10.1017/s0959259804001376 . McGraw, C. and Drennan, V. (2001). Self-administration of medicine and older people. Nursing Standard, 15(18), pp. 33–36. doi:10.7748/ns2001.01.15.18.33.c2968 . McGraw, C. and Drennan, V. (2000). The use of medication compliance devices by district nursing services. British Journal of Community Nursing, 5(7), pp. 326–331. doi:10.12968/bjcn.2000.5.7.7155 . McGraw, C. and Drennan, V. (2000). District nurses and medication compliance devices. Pharmaceutical Journal, 264, pp. 368–368. McGraw, C. Achieving medicine optimisation with cross-sector cooperation. Nursing and Residential Care. 6th International Conference on Community Health Nursing Research. Seoul, South Korea (2015). European Wound Management Association 2015: Wound Care Shaping the Future. ExCel London (2015). District nursing clinical error reduction programme. Birmingham, UK (2010). Description: Patient Safety Congress, HSJ and Nursing Times. District nursing care in the United Kingdom. Moscow (2008). Description: International Conference on Older People. Medication management for older people living at home: home carer involvement and patient safety. Granada, Spain (2007). Risk and safety at the interface between health and social care. Tokyo, Japan (2005). Description: Oral presentation at the International Conference in Community health Care Nursing Research.